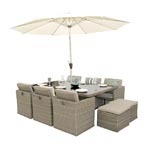 The ultimate in Outdoor and Indoor Furniture, this collection offers maximum choice of styles for dining , lounging and relaxing. 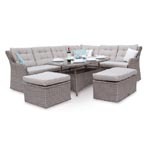 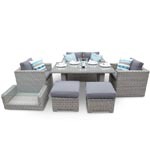 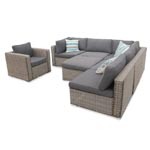 Our all time contemporary classic the Sahara High Back Lounge Chunky Rattan Sofa Set is a beautiful addition to any garden or patio area. 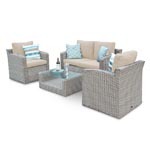 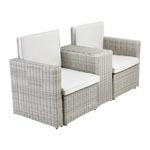 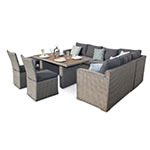 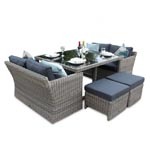 This very popular combination set seats four people and is perfect for reading a novel in the sun or evening with your favourite tipple. 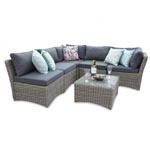 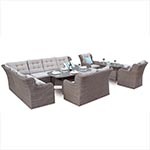 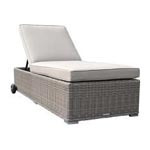 It consists of one Sahara two seater Rattan sofa set, two Sahara Rattan Arm Chairs Including a seat and moulded back cushions and one Rattan coffee table. 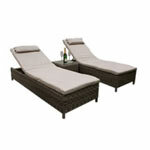 The set is supplied with charcoal grey cushion covers. 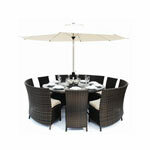 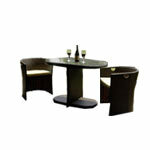 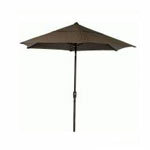 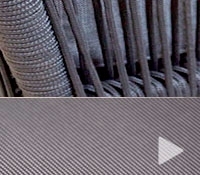 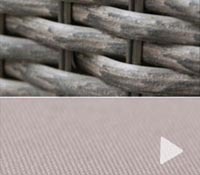 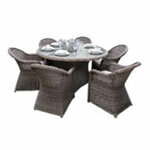 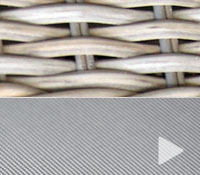 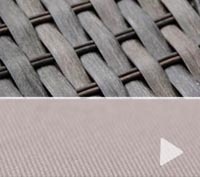 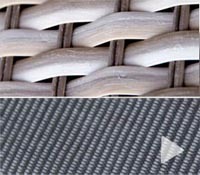 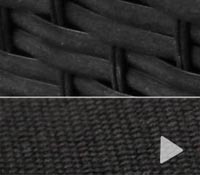 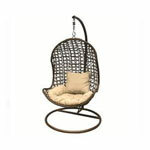 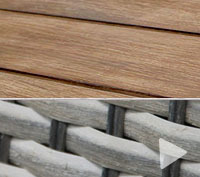 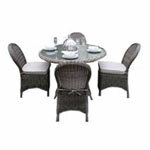 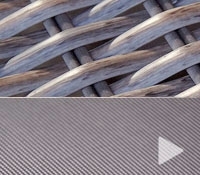 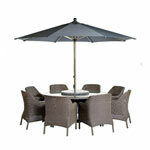 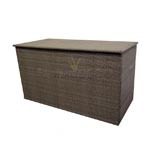 All weather wicker is a top quality fully dyed polyethylene based fibre that is UV, light, mould and mildew resistant. 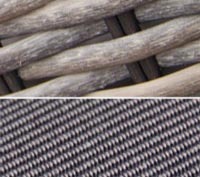 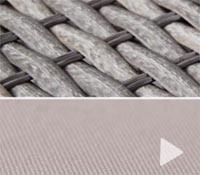 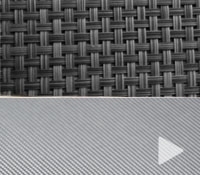 The hand woven resin itself is extremely flexible, strong and durable and the rust proof frame is constructed from the highest quality powder coated aluminium. 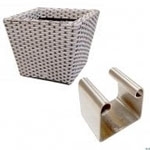 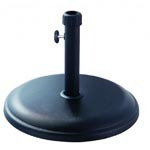 It is also non toxic and recyclable and cleans easily with just soap and water, hosepipe or a power washer. 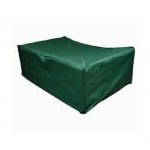 Cushion covers provided are in the standard Ecru colour and are machine washable at 30 degrees. 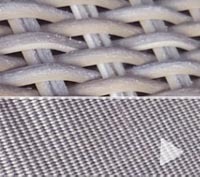 All fabrics are colour fast to chlorine environments for use in swimming pool areas and spas. 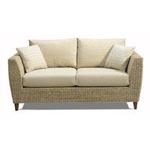 In inclement weather please bring the cushions indoors for protection.